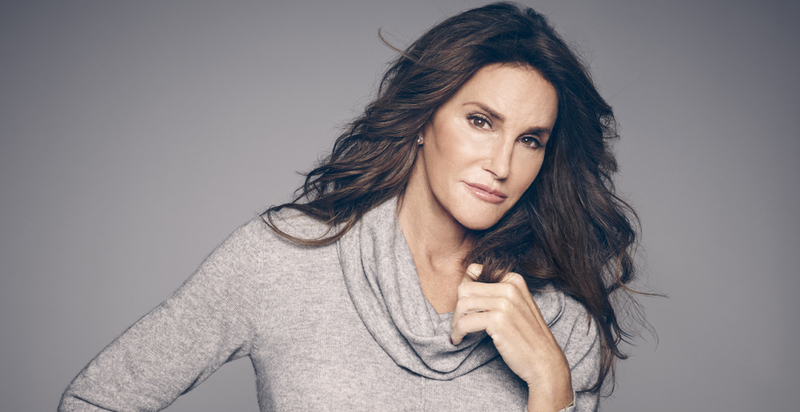 (August 24, 2015/Chicago, IL) – It was announced today that Caitlyn Jenner, Olympian and recent winner of the 2015 Arthur Ashe Courage Award, will serve as the keynote speaker for the 7th annual Chicago House Speaker Series luncheon, being held in the Grand Ballroom of the Hilton Chicago, 720 S. Michigan Avenue, Thursday, November 12th, from 11:30 am – 2 pm. Now in its 30th year, Chicago House is the Midwest’s oldest provider of housing for those impacted by HIV/AIDS and/or LGBTQ marginalization, and is now home to the nation’s most comprehensive social service and support program for transgender individuals, the TransLife Center. The Chicago House Speaker Series luncheon brings awareness to the agency’s founding mission, domestic and global HIV and AIDS activism, as well as its new strategic focus, combating LGBTQ poverty and marginalization, while celebrating the accomplishments Chicago House has achieved locally and raising funds to support the more than 1,800 men, women and children they serve. This year’s Speaker Series will be especially effective at highlighting the marginalization and suffering disproportionately experienced by transgender individuals. Offending the values of fairness and equity, transgender men and women face enormous intertwining barriers to stability due to discrimination, societal and family rejection, and pervasive hostility. More than a quarter of transgender persons reports having lost a job due to their gender identity and more than half reports having difficulty finding a job because of their identity. primetime show was a ratings smash, drawing 17 million total viewers – the highest for the show in 15 years. Keeping up with the Kardashians, the highest-rated series in the network’s history, documenting the daily lives of the Kardashian/Jenner family. In the summer of 2015, Caitlyn launched her E! Network show, I Am Cait, for which she is also an executive producer. The show documents her life post-transition as she learns more about the transgender community, and allows viewers to meet a diverse group of transgender people. As gender-nonconforming children, 76% of transgender individuals reports having been bullied by other kids when they were in school, and 31% reports having been bullied by teachers. A staggering 90% of transgender individuals has been harassed or mistreated at work, with almost half being repeatedly and purposefully referred to by the wrong gender pronoun. Founded in 1985 as the first HIV and AIDS housing provider in the Midwest, Chicago House has continuously evolved its services to meet the changing needs of those who are living with this disease. Through its housing, prevention and medication adherence programs, plus case management and employment programs, Chicago House enables them to return to a life of dignity and hope. In June of 2013 Chicago House opened the TransLife Center, offering housing services, employment services, medical services, legal services and emergency services, ironically in the same building that served as its former AIDS Hospice in Chicago’s Edgewater neighborhood. As it celebrates its 30th anniversary, Chicago House looks to its origins focusing on HIV/AIDS, poverty and LGBTQ persons. Chicago House provides permanent, community-based housing, support services and prevention outreach to individuals and families struggling with HIV and AIDS, who may also be affected by poverty, homelessness, mental illness, substance abuse, or gender nonconformity. All Chicago House services are provided without discrimination and are designed to guide people toward wholeness and self-sufficiency. In the Speaker Series’ inaugural year in 2009, Chicago House welcomed President Bill Clinton to kick off what has now become its largest and most impactful annual fundraising event. The past six Speaker Series events have featured remarks by great minds in philanthropy, business, entertainment and politics, including former Secretary of State Madeleine Albright, award-winning actor Whoopi Goldberg, designer Kenneth Cole, former U.S. Secretary of State Hillary Rodham Clinton and a panel discussion on Gender, Race and Economic Disparity, featuring LGBTQ advocates Laverne Cox, Jason Collins and Dustin Lance Black. The November 12 Speaker Series event with Caitlyn Jenner expects more than 1,000 attendees, and will kick off with a VIP reception, followed by a lunch presentation with Ms. Jenner. Individual tickets start at $200.00, with Premier Seating and VIP packages available at an additional charge. For more information on tickets, to become a sponsor, or to host an individual or corporate table, contact Tyler Lewis at 773.248.5200 (ext. 304) or visit www.chicagohouse.org.